The company is transforming fleet safety and operational efficiency with top-notch driving performance solutions and transportation intelligence. It’s no secret that the job of a refuse and recyclable material collector is ranked in the top 10 on the most dangerous jobs in America list. And it’s to no surprise that those involved in the industry are working hard to remove that job from the list by developing and implementing safer products, policies and procedures. One of the companies striving to improve safety and reduce the number of incidents and injuries that occur in the industry is SmartDrive Systems Inc., a San Diego-based company that delivers driving performance solutions and transportation intelligence that transform fleet safety and operational efficiency. SmartDrive’s solutions can be compared to a DVR, according to Palmer, but instead of sitting and watching the recorded videos to identify performance needs, driving analysts and fleet managers have immediate access to the videos that feature performance needs detected by sensors, saving both time and money, improving safety programs, reducing claims processes and increasing safety measures. The driver performance portfolios, which are put together by SmartDrive’s driving analysts, include information on each individual driver, including a driving safety score. Like golf, the lower the score, the better. If a driver receives a high score due to a safety incident, for example, he or she can work with a training coach to improve and lower the score. The portfolios also allow managers to identify the top and common risks and adjust their training programs as necessary to focus on those problem areas. Last year, the company launched new capabilities that extend the value of SmartDrive 360, the company’s solution that enables fleets to deploy additional cameras to gain 360-degree insight into risk, and SmartSense, a new line of intelligent driver-asset sensors designed to identify dangerous driving risk, intervene with drivers and provide actionable coaching before an incident or injury occurs. Combining purpose-built sensors with engine computer data, telematics, accelerometer data and SmartDrive analytic data, the SmartSense sensors deliver new levels of analyzed risky driving events. One of the sensors, SmartSense for Distracted Driving, pairs the advanced computer vision-based algorithms with the SmartDrive video and analytics platform to address the epidemic of distracted and inattentive driving. Instead of relying only on vehicle maneuvers, such as hard breaking, lane departure or swerving, the sensor interprets driver cues, such as head and eye movements, to detect distraction, inattention or drowsiness. 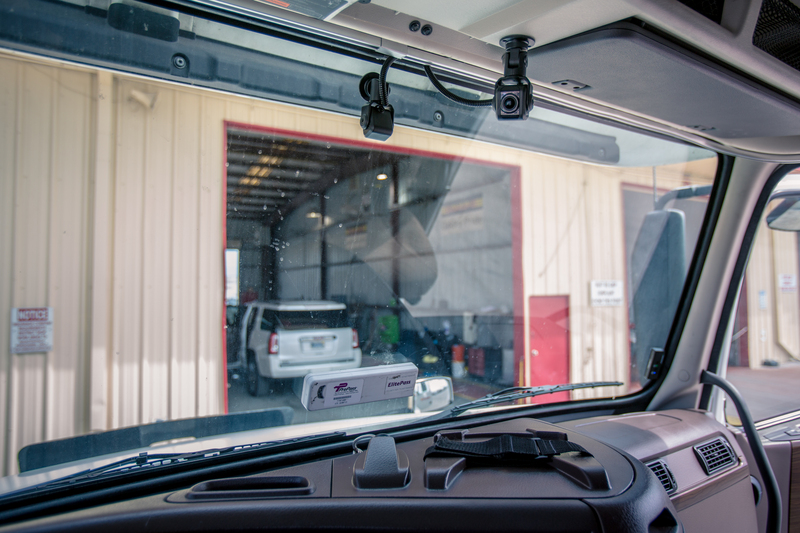 When it comes to reducing injuries and incidents and improving safety, Palmer suggests that companies look at their own operation and business practices to help identify if they are putting drivers in a situation where they are going to be distracted. In addition to launching new solutions, the company had a number of accomplishments in 2017. It reported a 30 percent year-over-year subscription growth, a 96 percent increase in straight-to-rollout deployments and a 98 percent retention of contracted units over the prior year. It also tripled its transportation intelligence business over the prior year, added leading global fleets across a variety of industry categories and closed equity investment in the company led by Michelin North America. As far as the company’s impact on customers goes, the SmartDrive program traversed 3.7 billion miles, issued 2.5 million alerts to SmartDrive team members and customers, helped avoid 24,000 collisions and captured 23,612 collisions. Adding to its video-based solutions offerings, SmartDrive announced the release of its SmartDrive Transportation Intelligence Platform and SR4 hardware last week, which deliver breakthrough driving performance insights and analytic intelligence by combining data from all systems, all sensors and the operating environment. The platform includes advanced risk assessment and driver-assist, more power in a small hardware footprint, more multi-camera support for 360-degree visibility, integration of WABCO’s next-generation OnLane LANE Departure Warning System as the road-facing camera, more storage capacity for Extended Recording service, expanded integration options to third-party systems, mixed fleet capability, enhanced reliability and security and an industry-leading SmartChoice Video Safety Program. 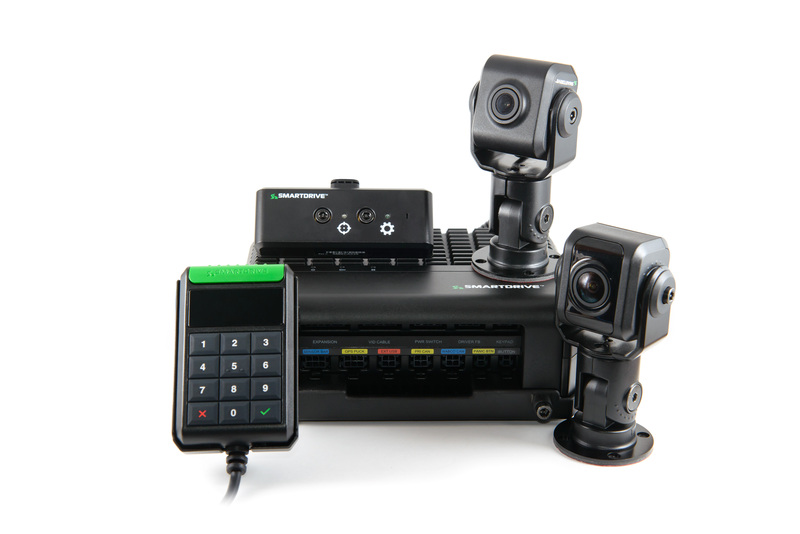 The SR4 hardware offers a purpose-built controller unit featuring intelligent monitoring and recording functions, expandable solid-state storage and 4G/LTE and Bluetooth 4.x communication protocols, significantly smaller road and cab-facing cameras, a separate sensor bar that allows more flexibility in camera placement, a keypad that enables manual event recording while supporting unique identification codes and a privacy mode for drivers and a wireless key fob that puts the power of manual recording in the hands of the driver, whether the driver is inside or outside the vehicle. One of the challenges that the company faces when developing these technologies is waste vehicles being noisy and sometimes bumpy to ride in, which can cause unnecessary triggers. To overcome this challenge, SmartDrive works to develop sophisticated algorithms to avoid quick, unnecessary triggers. “We have more than 200 million driving profiles, and we have analysts working with those profiles every day to help us see what’s creating a false positive so we can tune our algorithms as necessary,” says Palmer. Going into 2018 and beyond, the company is continuing to work on creating those fine-tuned algorithms and new and improved video-based safety solutions and analytics.